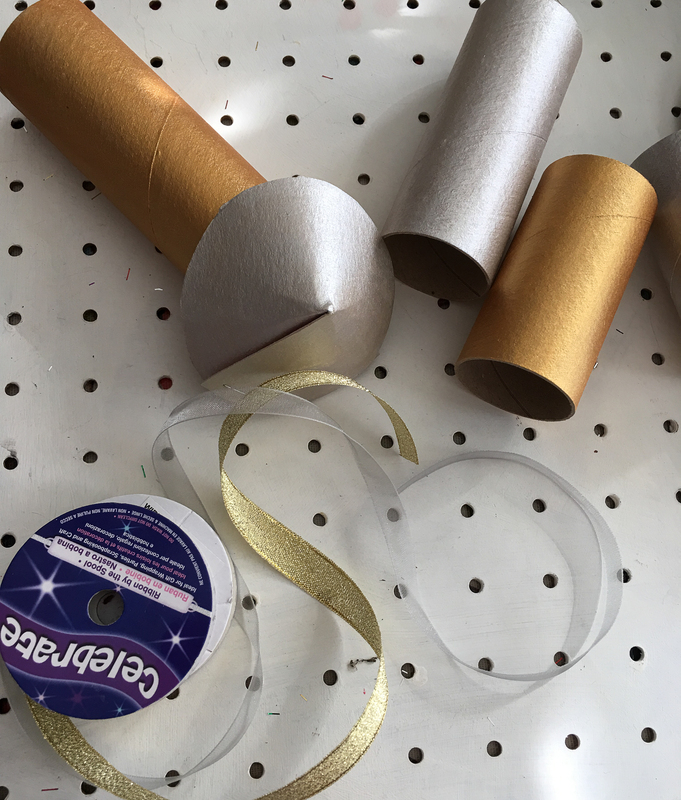 I know that we are yet to celebrate Halloween but we have been busy thinking about crafts for Bonfire Night too. The other day we experimented with paper plate fireworks and today we wanted to share our cardboard tube rockets. 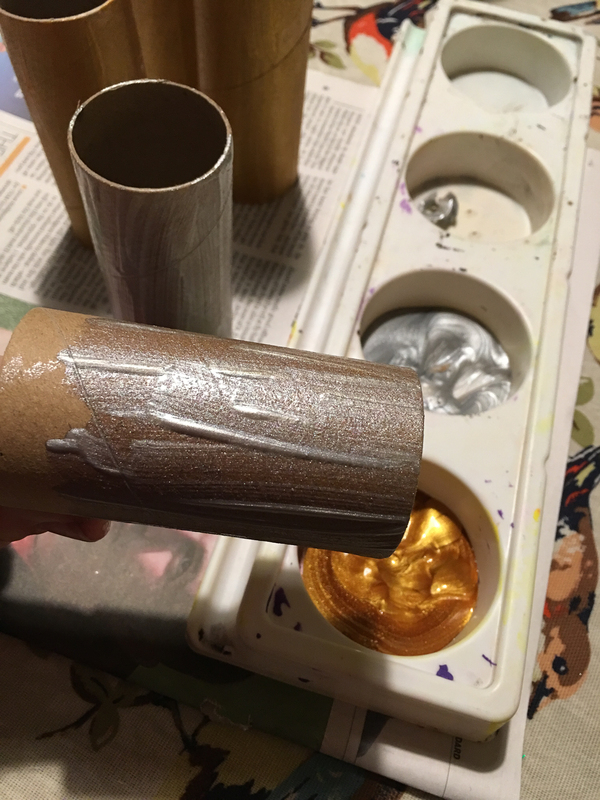 We painted our tubes with gold and silver metallic paint. 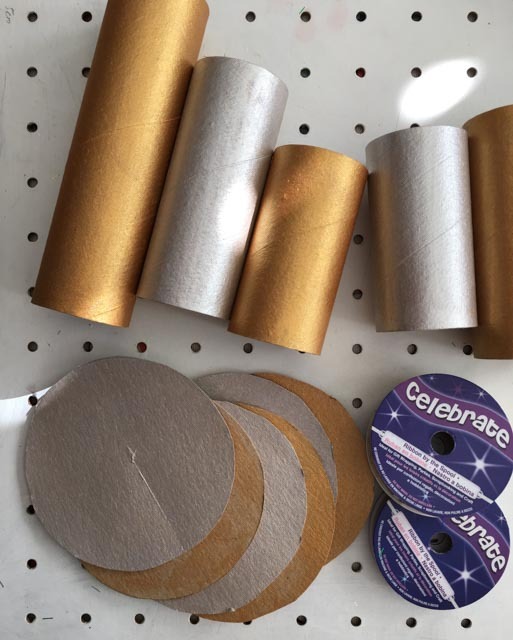 Whilst they were drying we cut circles from cardboard to make the tops, painting them with the gold and silver paint too. When they had dried we folded the cardboard circles to make little cones for the top of each rocket, stapling them to make sure they stayed in place. Then we were ready to assemble our cardboard tube rockets. We cut a length of ribbon to hang the rockets, pushing them through the top of the cone and securing them in place with a knot. We used some plasticine to keep the cone on top of the tube but you could also use sticky tape or glue. 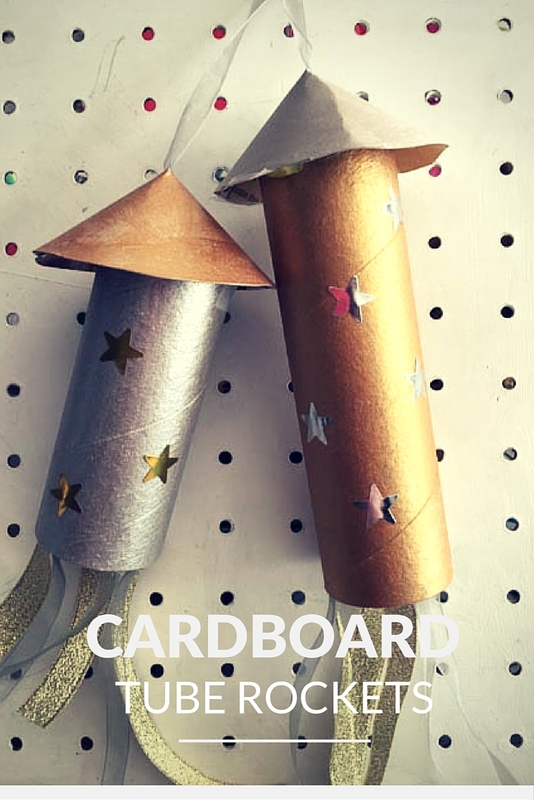 There you have some pretty kid-friendly cardboard rockets to celebrate Guy Fawkes Night or Bonfire Night. This is such a lovely idea! How creative, and a great use of items that would just end up being recycled! They are lovely and shiny, aren’t they? The paint came from Hobbycraft, I find them the best value. 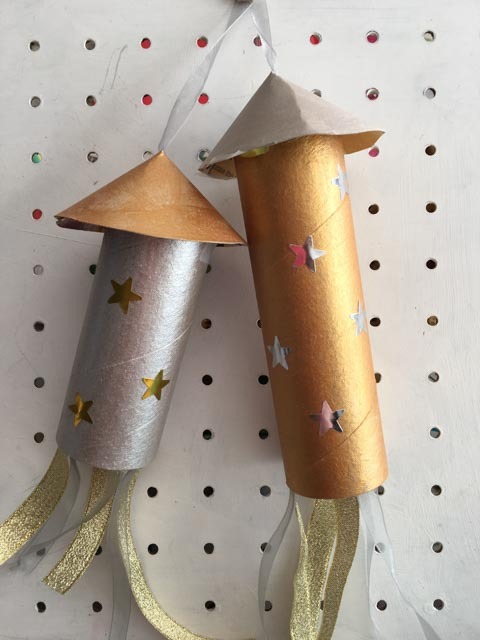 They look like great rockets and very simple to make. Good fun craft for bonfire night.